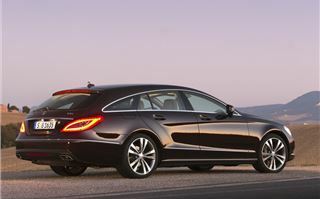 Mercedes-Benz’s ceaseless quest to fill every conceivable niche continues as it adds a Shooting Brake model to its CLS four-door coupé line-up. Style over substance? Or perhaps a genuinely more practical and desirable take on Mercedes-Benz’s styling grand tourer. 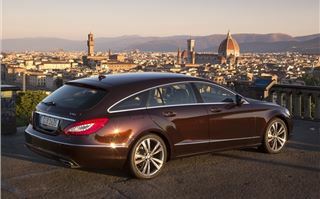 The CLS Shooting Brake may answer questions nobody asked, but it’s achingly desirable regardless. 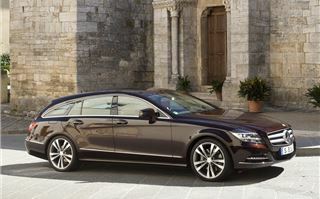 Adding a niche to a niche the CLS Shooting Brake enhances the practicality of a car that in its regular ‘four-door coupé’ guise removed usefulness from the saloon car genre. Confused? Not as much as the people in Mercedes-Benz’s product planning department are. 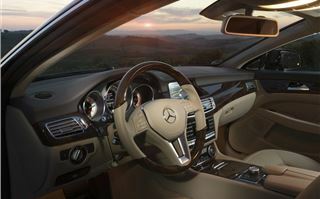 The CLS isn’t a rational choice though. 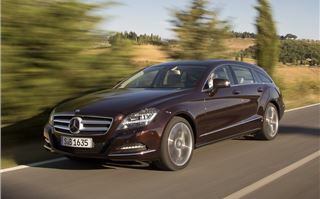 Indeed, if every Mercedes buyer bought cars with their heads then they’d all buy an E-Class - with which the CLS shares a great deal of its mechanical components. 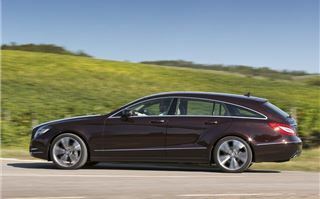 By that rationale the CLS Shooting Brake makes even less sense, as, if you need a load-lugging Merc, the E-Class Estate has that angle covered. 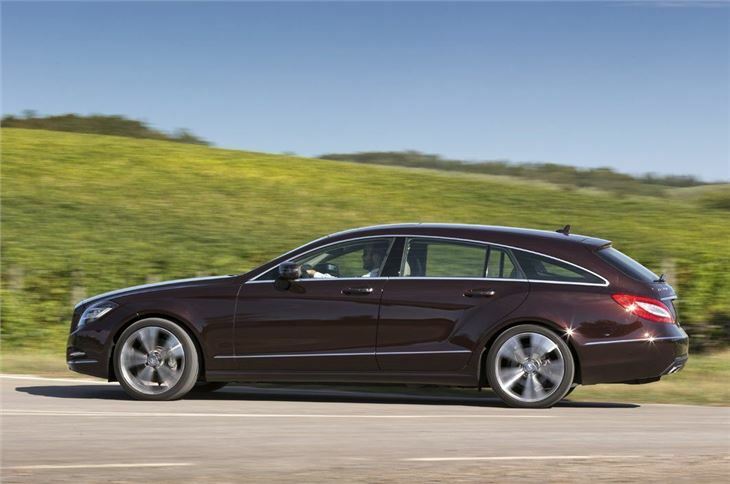 The CLS Shooting Brake isn’t a car you’ll be lugging furniture in. That said, the loading capacity isn’t as scant as the curvature of that roofline might have you think. 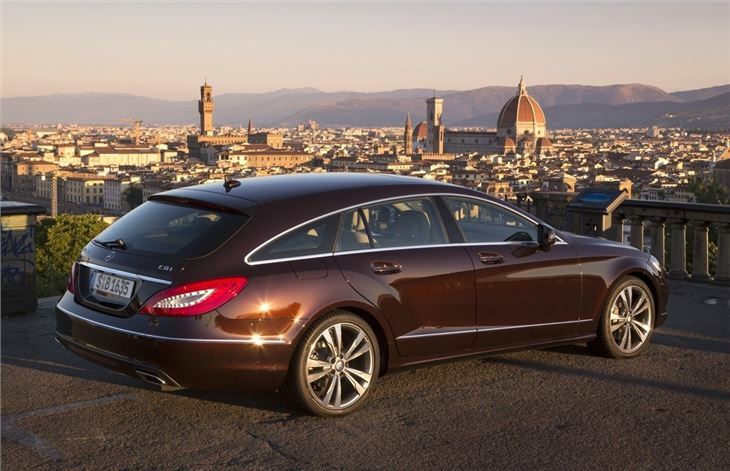 Keep the seats up and the CLS Shooting Brake has 590 litres of load space. 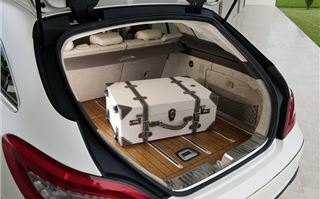 Pop them down, via the simple Quickfold system and luggage capacity swells to 1550 litres - some 50 litres greater than a C-Class Estate. It is unlikely though that you’ll care about how much space is in the boot. However, the rear headroom - and greater feeling of airiness in the rear - will be welcome if you’re sat in the back. 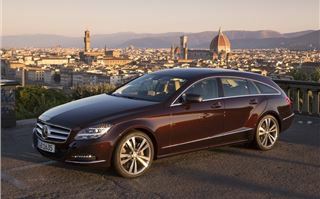 Forget about luggage though, as the CLS Shooting Brake is for those who love the aesthetic; it's a beautiful and interesting car. 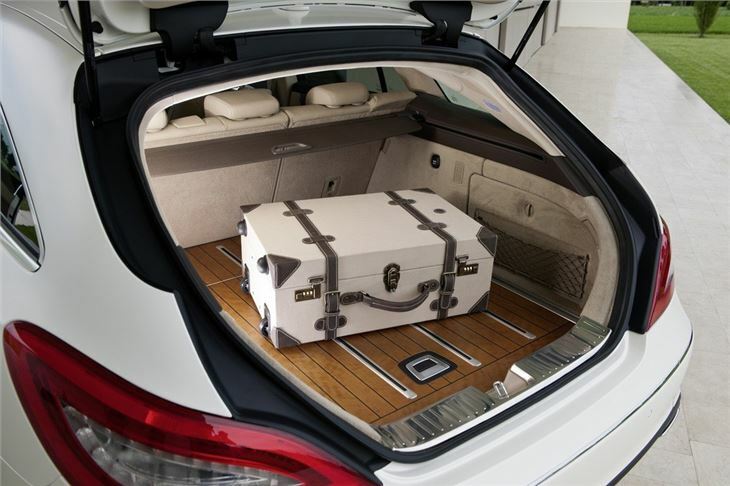 That luggage area can be optionally finished in Cherry Wood with aluminium and rubber inlays, aping the decking on fine yachts. At over £4000 that wooden boot floor exemplifies where the CLS Shooting Brake sits in the Mercedes-Benz range. It’s a niche model for wealthy individualists and that means limited choice. 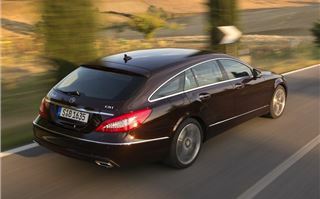 So the CLS Shooting Brake’s engine line-up isn’t as extensive as even its closest relation. 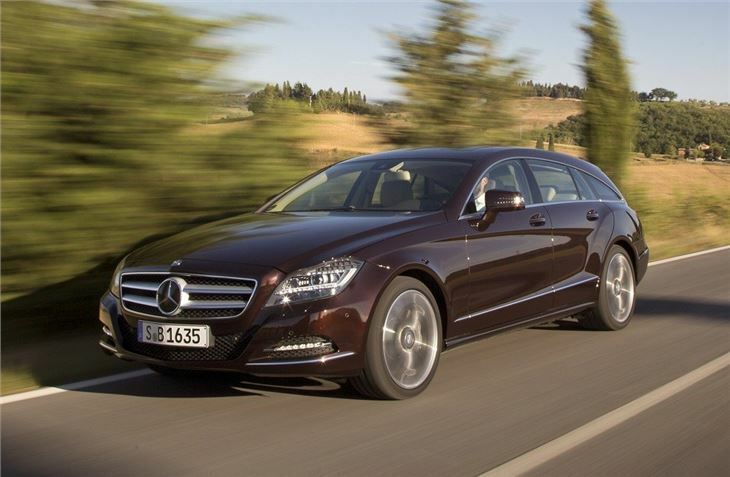 The CLS 500 model is dropped, petrol V8 buyers served in the Shooting Brake only by the 5.5-litre turbocharged V8 in 63 AMG guise. Served a large portion too, the blown V8 delivering 557PS to enable it to reach 62mph in just 4.4 seconds. Tempting as that sounds (and it does sound glorious), the official combined economy figure of 28.0mpg - and huge leap in price over the other Shooting Brake models - does rather limit its appeal. 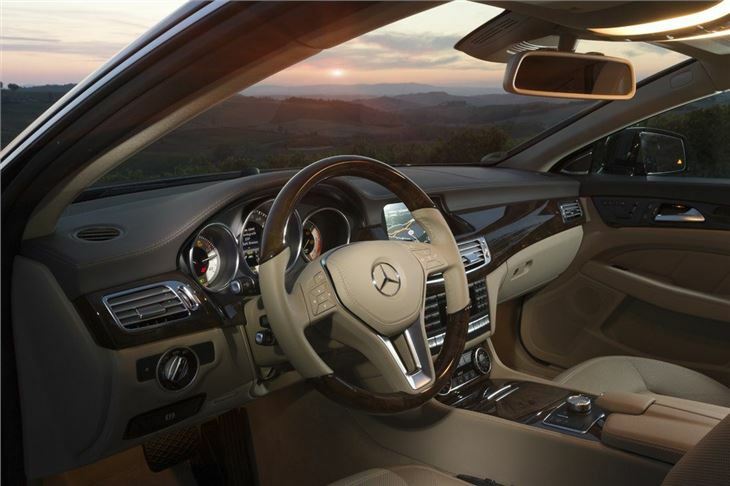 That leaves the turbodiesel pairing of the CLS 250 CDI and CLS 350 CDI to make up the numbers. 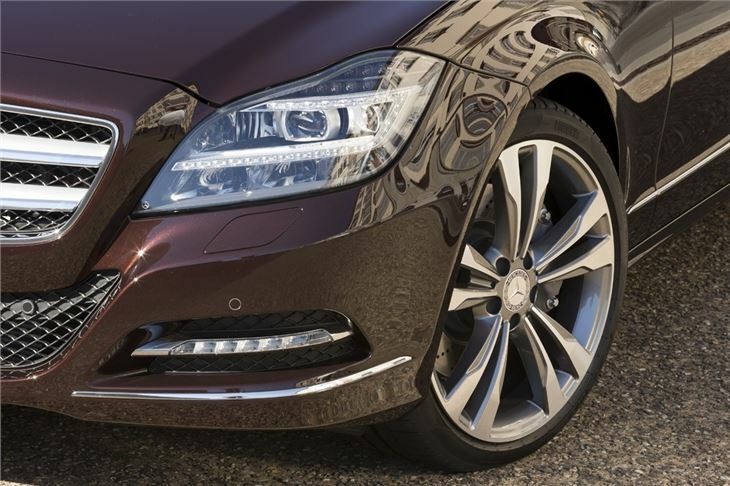 The 250 uses a four-cylinder engine, its 204PS and sizable 500Nm of torque still feeling a touch overwhelmed by the CLS Shooting Brake’s bulk. It’s a capable enough cruiser, but ask it for quick acceleration on the move and the narrow band of torque does run out rapidly while refinement decreases as the revs rise. No such issues in the 350 CDI, it benefitting from a pair of additional cylinders - arranged in a 'V' formation - and output up to 265PS. It feels significantly quicker, not least because of the ease with which it hauls the Shooting Brake along. 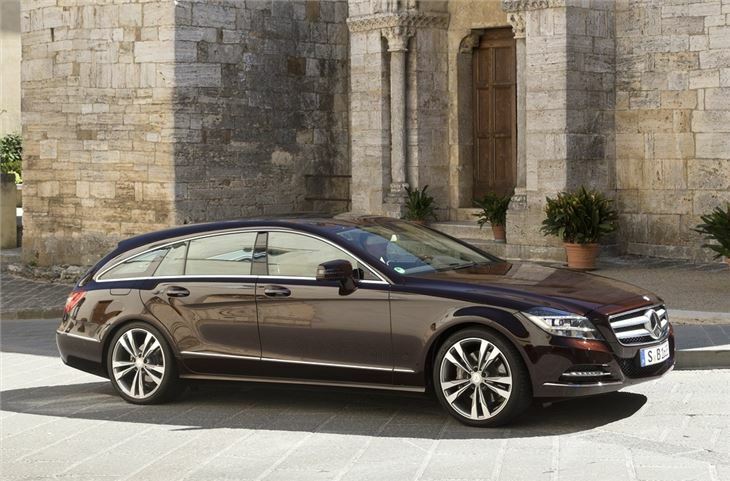 Thank not just the greater torque output - 620Nm - but the wider band in which it operates, giving the CLS Shooting Brake the sort of easy pace that befits a premium GT car in this price range. Choose the diesel versions if you want a more compliant ride, as the flagship AMG’s suspension is a touch compromised on less than perfect tarmac. The ride is more supple on the standard suspension, yet not at the expense of control, which remains very impressive indeed. 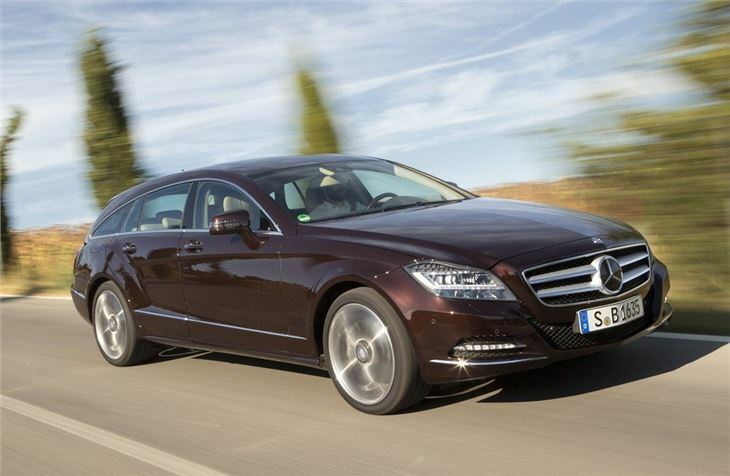 The steering is slightly dead around the straight-ahead, but its weighting and speed improves off centre, and the CLS’s agility is remarkable given its size. If there’s a weak link it’s the automatic transmission. It’s reluctant to shift on command when you flick the wheel-mounted paddles, and sometimes jerky to engage from standstill. 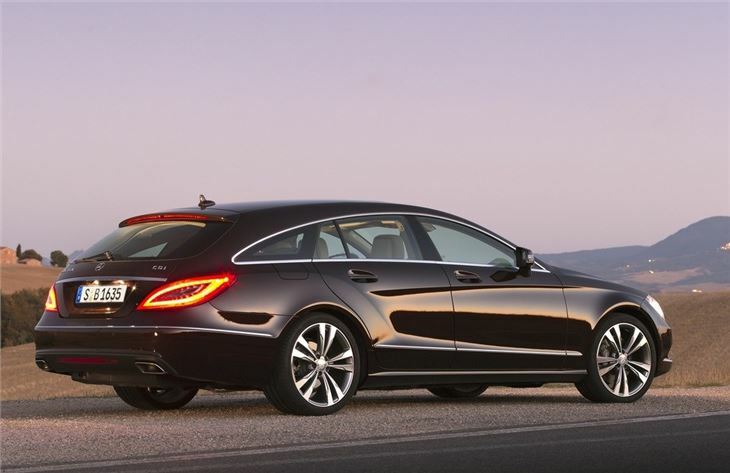 It’s slick enough on the move when left to its own devices, and does - in conjunction with a stop-start system - help the CLS Shooting Brake achieve its decent fuel consumption figures. 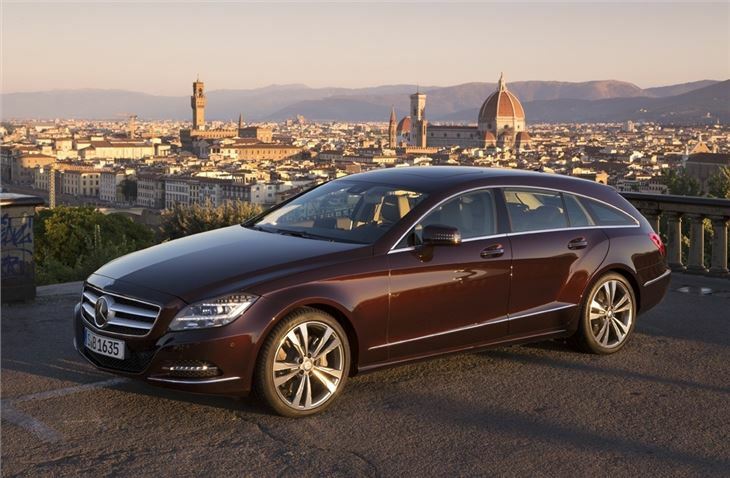 Obviously the CLS 250 CDI is the star here with a combined economy figure of 53.3mpg and CO2 rating of 139g/km, but you’ll take the consumption hit of the 350 CDI just to save you the blushes of being burned off at the lights by reps in BMW 320ds. 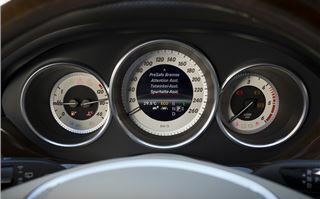 Pick the 350 CDI and the economy drops to a still credible 47.1mpg, though in either version, if you choose the AMG Sport trim - which brings bigger wheels, AMG styling and sports suspension - you’ll pay at the pumps. Only marginally, though.